Wow, that is horrible. I wasn't aware it was on fire. Mon Dieu. I wonder how it started. It's been gutted. There were renovations going on and they believe the fire is related to the construction. I lived in Paris for a couple of years. Walked to work via the back view of Notre Dame. Made my day each morning. Gutted. Broke ground in 1163 and it was finally finished 182 years later in 1345. Demolished in a day. Heart wrenching. And on the heels of Easter. 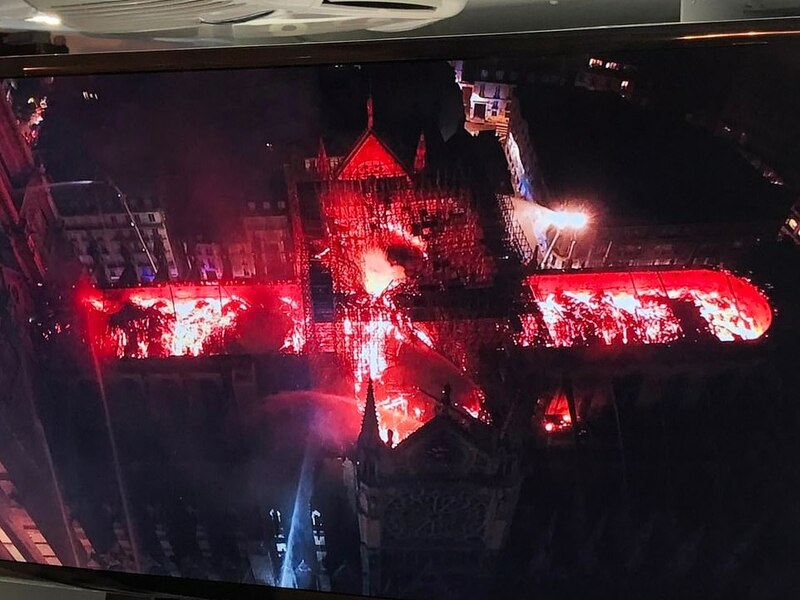 The fire at the cathedral caused the roof to collapse, destroyed a spire and spread to one of the building's two rectangular towers. I saw that on the news just a few minutes ago. I hope the structure is intact and can be renovated. Truly sad news. France has such a rich history. Looking surprisingly good inside,all things considered. 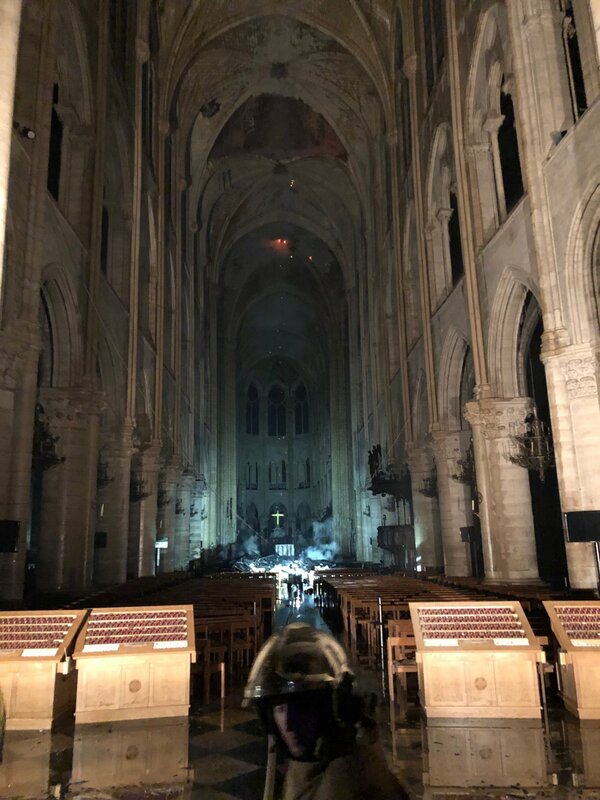 Even some of us crusty old atheists are sad to see such a magnificent structure so badly damaged. As sad as it is, maybe it is a reminder that all thing are impermanent and will pass away... and a reminder for us to search for something deeper and more permanently fulfilling (whatever that may be for each of us). Notre Dame was heavily altered in the 18th C, damaged in the French Revolution and restored in the 19thC. It may be a basically 12thC structure but a lot of what you see, and most of what has been damaged is, effectively, 19th C fakery. The spire, for example, wouldn't be what Quasimodo knew. Luckily, some statues were stored elsewhere during the renovations. The cathedral was in bad shape until restoration work was begun in 1844. It's been through changes in the past; now it will see more. Absolutely. It is one of the most beloved catherdrals in the world, and possibly the most important example of Gothic archtiecture. You don't have to be religious to appreaciate what it is, same as you don't have to be religious to appreciate a hymm or a bluegrass gospel song. Beautifuil art is beautiful art. It is a lot more than "just a building". It is a cathedral, a museum, a beloved global icon, and part of the soul and national identity of the French.